Stuart McCall is back as manager of Bradford City with things he needs to have learnt since his last time in charge at Valley Parade such as the need for a stronger character in his team, the need for a stable environment and the capacity to corral the club in a single direction. With Bradford City sold to Stefan Rupp and Edin Rahic there is much praise for outgoing joint-chairmen Mark Lawn and Julian Rhodes who are afforded credit - wrongly - for saving a club. With his Bradford City team struggling Phil Parkinson reverted to his original approach at the club challenging the players to take control of a game, and a result at Barnsley. The great success of Bradford City manager Phil Parkinson comes not only in how he managed to tip this game in his favour at half time following an even first half but how he has changed the club from being happy to play in the bottom half of League Two to judging itself against if it can be promoted to the Championship without any sudden increase in resources. Officially announced new Bradford City manager Stuart McCall needs no introduction at Valley Parade and so let us not waste words with them. And let us waste no time heaping praise on his playing career at City, at the FA Cup Final, at the World Cup, at Rangers. We know it was good, and he knows that we know it was good. We’ve been here before. Stuart McCall does not start his time at Bradford City ab ovo. By appointing McCall Edin Rahic has joined a story en media res. The new City manager is the old City manager and in some ways he begins exactly at the point where he left the field having lost 1-0 to Bury in February 2010. The League Cup final, promotion at Wembley, Chelsea, Sunderland et al become a separate timeline that ended at Millwall and Phil Parkinson’s last game. Rather than nothing being known about the new manager, everything is, and that brings with it a collection of nervousness about known quantities. Uwe Rösler would have brought with him questions, not so McCall. With McCall we have answers on past behaviour, or at least we think we do, and the gnarling feeling in one’s stomach is the acceptance of that. It is the feeling of knowing what your birthday presents are. McCall has been at Rangers, has been at Motherwell, and has been at Scotland and those qualifications need to disavow the most embarrassing of the criticism of him in the past – that he was “not a proper manager” – but from those experiences McCall needs to have learnt much to correct that course that he was on when he walked off the pitch after the Bury game five years ago. Things that went wrong have to be put right in order that McCall be successful and some successful things need to be retained. McCall’s predecessor Phil Parkinson created teams which – through a peerless team ethic – dragged out results playing a direct game centred around not conceding goals. McCall’s Bradford City teams were in many ways the opposite of that. His teams worst characteristic was (and I exaggerate for effect) their ability to turn a poor decision about a throw in into a eight game winless run. This is the greatest difference between the two managers. Parkinson build his team with an internal belief based on a spirit within the dressing room. There were times when this did not work and it was obvious that this did not work and times when it spectacularly did. It is impossible to imagine the McCall’s teams of 2007-2010 slowly grinding themselves back into a game at Chelsea when 2-0 down. McCall’s teams, when they worked, were belief bubbles that players floated on. Remembering perhaps McCall’s best game – the 4-1 win over Exeter City – it was a projection of what Joe Colbeck could be to Colbeck and to the rest of the team that spurred the performance. This approach was not open to Parkinson who told the players that their achievements are the sum of their inputs rather than the fulfilment of their buoyancy. Likewise ten minutes after Barry Conlon came on 2-0 down at Accrington Stanley the game was won 3-2 after the Irish striker caused mayhem in the penalty area. McCall cast the game plan at The Crown Ground aside in a way that Parkinson never did. When 2-0 at Chelsea (admittedly a different proposition) Parkinson’s team did not change how it played other than to play better. McCall’s ability to add a randomness to proceedings is a strength at times but was a weakness too. Not only a weakness but a cause of weakness. When the belief is not in the dressing room and the player’s belief in each other’s abilities it is always subject to being assailed by external pressures. When Parkinson’s teams lost they looked at themselves and saw how they were good, and that how they would come good over time, but when McCall’s teams lost the looked at themselves to see all the ways they were bad. Needless to say one hopes that the lessons McCall has learnt include an understanding of this and built it into his management philosophy. Which leads onto a worry about losing the capacity that Bradford City under Parkinson had of being able to maintain a position within games. The term “game management” has become overused to the point of de-definition but recalling McCall’s celebrated 3-2 win at Accrington is to forget the times when games went beyond his side and they had little character to bring them back. This is not uncommon but was uncommon under Parkinson who only rarely saw his City team more than a goal down. The ability to keep a game with grasp, even if it could not be grasped, is something that encouraged belief in the dressing room. City under Parkinson never lacked hope. Yet so much of McCall’s managerial style was based around hopefulness (which is to say that his teams were never to be described as negative) that the nature of defeats like the 3-0 reversals to Rochdale and Accrington at Valley Parade came at a huge cost. To chase games at 1-0 down defensive responsibilities would be abandoned which would bring defeat, not victory, closer. Those games were painful to watch in the stands and did damage to the squad. They were the counter to the sensational comeback but seemed to do more damage than those comebacks did good. Another term used to the extent of de-defined is “stability”. It is not just manager retention, or squad retention, it is an environment in which lessons taught are understood and worked on, and improved, rather than one where behaviour patterns are random or seem to be random. McCall needs to have understood how to take the lessons from defeat but to not dwell on defeat and he needs to ensure that practise continues at City. McCall the coach wins the praise of players for his ability to work with them but what is the point of having a coach to improve players if – as was the case – every twelve months the squad is changed drastically? Edin Rahic’s hopes of bringing in post-Academy players from top clubs seems to tie in with McCall’s skills but it will only work if there is a lengthy commitment to a stable development environment. McCall can do this – arguably he can do it better than Parkinson – but the whole club has to be aware of the necessity of stability beyond the idea of just having the same manager standing in the middle of chaos. Chaos perhaps being an apt description of 2007-2010 at times. Stuart McCall created three teams at Bradford City and they can be summerised thus: The first one, the one that had a load of money thrown at it, the one that had a load of money ripped out of it; One might want to pretend against evidence that money is the governing factor in football but experience tells us otherwise. It is rare that one finds a disharmony and successful football club. There are exceptions to this rule but more often it is accurate as it seemed to be in McCall’s first period as manager of the club. Because there is a telling of history that is entirely manager-centric that is applied to Bradford City over the last decade. That Phil Parkinson arrived and – by virtue of his being a better manager than all who proceeded him – the club turned around. This empowerment of the manager to the auteur of success is very common in football as it is “>in history. It speaks to something romantic in us all – that a single person can create wonders – and that romance is the hope that one such person might come and turn the fortunes around. And the counter to that is that anyone who is a manager at a club that does not succeed has failed, rather than the failure being common or shared, as seems most often to be the case. The reason Liverpool have not won the league since Kenny Dalglish left is because Kenny Dalglish Great Man theory says obviously untrue. There is another view of history which would have it that Bradford City in Stuart McCall’s first time at the club was – to be frank – a mess. This is an unpopular view and one that people are criticised for voicing. The perceived wisdom is that the club was making purposeful and direct steps back to the rude health as early as 2007 and that left it in good condition when Edin Rahic and Stefan Rupp bought it. That wisdom does not correlate with what we know of the times. You can pick your own example of this. What was going at Valley Parade when a deal was done with Royal Montegnée that brought Willy Topp to City as the first in a partnership? Did McCall want (W/B)illy and if not why did he get him? What was going on when Phil Parkinson – in the glow of the greatest FA Cup shock of all time – was seemingly forced to onto bended knee to apologise to two directors for pointing out the obvious problem with the pitch at Valley Parade? 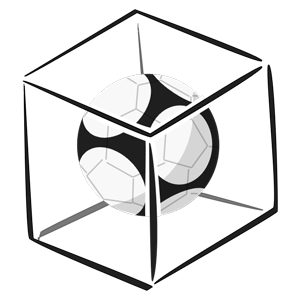 What happened to the link up with RIASA? Was it a success or not? Why did the club employ Archie Christie to do one job and the manager Peter Jackson to do another when it would be generous to say that the two men did not work well together? Who wanted Christie at the club? Who didn’t? Why was Paddy Lacey signed on sixteen times the wage of Nahki Wells? Why did City end up paying £250,000 for a player that no one seemed to want at the club? Why was one of the chairmen serving up a spiteful fish course? Only the most fanciful retrofit of history can call this a club pulling in the same direction. 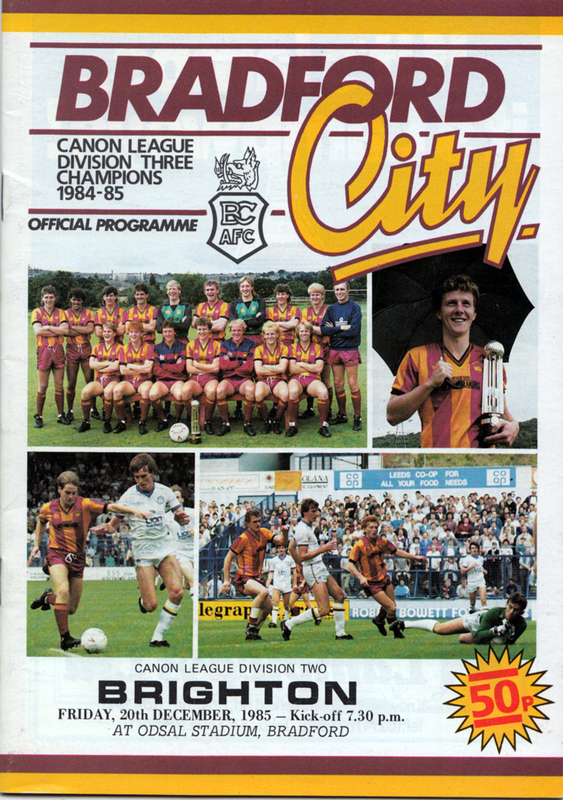 Return, mentally, to the idea of the Bradford City squad being called in on a Sunday to play a game for a South African player that Mark Lawn had “discovered” and then having the game called off half way though and to be accused – according to then manager Peter Jackson – that they would not pass to the new “star player”. That Jackson even let it happen, that Rhodes let it happen, that the architect of it Lawn let it happen, says so much about the state of the club at the time. It all changed – for regrettable reasons – when Lawn took a step back and Phil Parkinson was able to take a team to Wembley. This consolidated Parkinson’s power at the club and all other directions were ignored, and retroactive considered ignored, because the idea of upsetting Parky by making him bring his team in to try out the South African lad risked too much. And so the club had a single direction and benefited from it. If McCall is a different manager now this is how he needs to be different. He is a “legend” but that is an honourific afforded by the supporters and not the boardroom. He needs to use his legend status rightly rather than have it used to mask any number of curious goings on. Fr example When one of the chairmen stopped talking to Stuart McCall in 2009 he should have asked supporters – publicly if he had to – just how the eight month sulk helped move Bradford City in the direction they wanted? If a legend is not on the side of the fans he is not a legend. A football club needs to have a single direction and everyone is adjunct to that. If the direction comes from the manager – as it did under Parkinson – then everyone at the club needs to stand behind him and anyone who does not needs to get out of the way. If the direction comes from Edin Rahic then McCall needs to either understand that and be able to agree and support Rahic’s direction or he needed to have not taken the job. But he has taken the job and while at the moment it is unclear as to what the shape of this new era Bradford City will be McCall, Rahic, Rupp et al need to be of one mind in this. There is a view of the history of Stuart McCall as Bradford City manager that paints him as a capable manager in what was an increasingly dysfunctional situation. It is a view that writing BfB during the course of the years, and talking to the people involved, I subscribe to. His capabilities are shown at Motherwell getting them into the Champions League qualifiers, the dysfunction at City was seen by Peter Taylor, and by Peter Jackson, and all the many messes which made the rise under Phil Parkinson so remarkable. It is hard to say if that is the case and if McCall was a good manager in a bad situation, or if McCall is the failure in the Great Man theory that some say, or if it is some other history as yet untold about to shape the course of our club. As Stuart McCall is welcomed back to Bradford City for a fourth coming we might be about to find out. 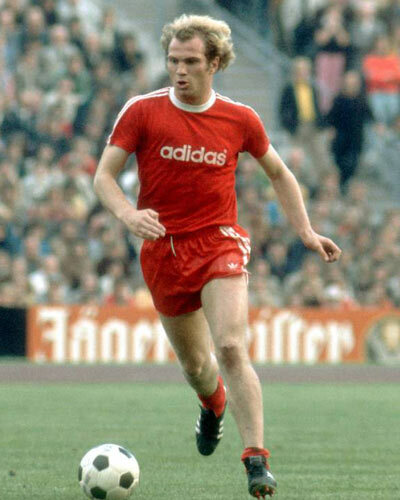 More about Archie Christie, Barry Conlon, David Baldwin, Edin Rahic, Joe Colbeck, Julian Rhodes, Mark Lawn, Peter Jackson, Peter Taylor, Phil Parkinson, RIASA, Stefan Rupp, Stuart McCall, Uwe Rösler, Willy Topp. Bradford City have been sold to German company ER Sportsgroup for £6m with current joint-chairmen Mark Lawn and Julian Rhodes being replaced by Edin Rahic and Stefan Rupp. Rahic and Rupp will arrive on Tuesday and will continue to work with some of the current Bradford City staff but – troublingly – are attached to unsavoury noises about preferring Uwe Rösler to Phil Parkinson as manager. This choice on manager is an early the acid test of Rahic and Rupp. I have said before that there is nothing about the playing side of Bradford City other than the things Phil Parkinson brings and to remove Parkinson would be to buy the club and throw away one of its defining features. To do that is just not the mark of sensible men. However on Tuesday when Rahic and Rupp outline their plans for the club – and the newly formed ER Sportsgroup is called “group” indicating that the pair might have bigger plans than owning one League One team – should those plans include any form of youth development then one can see where problems with Parkinson’s methodology would arise. Rahic and Rupp would do well to focus on improving recruitment at Bradford City in the short and medium term and recognising that Parkinson best serves most medium term aims. The club works better in The Championship and with better recruitment – and one notes Rahic has worked in scouting at Stuttgart – it would get there in short order. However should the long term vision differ from Parkinson’s then – ultimately – they would replace the manager but in doing so without something very impressive to replace Parkinson with in terms of a structure and a pattern of success they would be damaging what they have bought. If Rösler is arriving to serve that aim of assisting Parkinson then he is very welcome. There will be more on this, one suspects, in the weeks and months to come. On Lawn and Rhodes one gets into matters of hagiography. One can read no end of appraisals of how they have saved the club in one way or another and the most nauseating of these are those with claim to speak for all Bradford City fans. My views differ and if that is something which will hurt your sensibilities then return to the streams of praise and glory elsewhere, otherwise progress duly warned. While he is a crashingly superb chap Julian Rhodes has proved himself dubiously effective at Bradford City in the tasks that he most often credited with. Rhodes and Lawn are talked about as, indeed talk about themselves as, custodians and stewards of the club but Rhodes was there when £8.5m was paid out in dividends from the club which would spend a decade or more riddled with debts. Rhodes was there when the club went into administration with huge debts having received some of those dividends. Rhodes was there when the club’s main assets (Valley Parade) was sold to one of its own board members in a deal which benefits that board member but will financially hamper Rahic and Rupp and has been a millstone for the club ever since. Rhodes was there when the club went into administration again in 2004 and watched as £500,000 from supporters pockets was what kept Bradford City going. Rhodes was there when the club took a 9% above base rate loan from a new director which – were it not for Parkinson’s team’s historic League Cup final appearance – would still be outstanding and costly now. I know Rhodes has done good things for the club and I appreciate the efforts he has put in and will be sorry to see him leave for reasons that – when I read the above litany – I cannot fathom. The impression seems to be that Julian Rhodes has always wanted to do well and perhaps, had he not ended up with the characters in the boardroom he did, he would have. But that is not the case, at least not when one considers the club were in the Premier League and ended up at the foot of League Two via two spells in administration. Perhaps the most honest history on Rhodes’ time at the club is that he represented rationality amongst irrational men and without him the forces of irrationality that allowed a football club to sell its home, to give its money to its directors, to come so close to non-existence, would have been more damaging that they have been. As it is history named Rhodes the man who took City to promotion twice, and not the man at the club that went into administration twice, and that is nice for him. History is set to lavish praise on Mark Lawn too, although one wonders for how long. Lawn is a strange character to meet. Myself and Jason McKeown (mentioned again, like some forgiven child of mine) had a stand up argument with Mark Lawn where the joint-chairman had a tantrum at us for not having painting him in a better light in an interview that painted him in a good light. Because the tantrum fell in the middle of an interview we were conducting with someone else it was recorded on Dictaphone and made for a curious listen later. Lawn’s main gripe seemed to be that we had been accurate in our reporting of what he had said and that were we more professional – Jason is, I’m not – then we would have changed what was said to something that was not said, but that he wished he had said, because it would have been better to have said that and not what he did. I mention this because a lot of what I read about Mark Lawn seems to be from people who have had not had the pleasure of meeting him but judge him and his contribution entirely on the progress of the club. Lawn gets credit because the last few seasons at Bradford City have been very good to watch and there is a reflection from that. How much impact he had on that, how much he created that, is something that will come out in time no doubt. Lawn was – before Phil Parkinson’s arrival – the joint-chairman who took it upon himself to organise a training match to give a trial a South African player who – according to a ludicrous scene described in former manager Peter Jackson’s book – was not good enough to be a footballer. Lawn then abandoned the game because the players in the other Bradford City squad would not pass to the inferior newbie. That the City squad were involved in the charade Jackson details goes a long way to describing Valley Parade at the time just before Jackson left to be replaced by Parkinson. He may also be the joint-chairman who – according to former player Shane Duff – used to insult the players performances as he served them lunch in the (admittedly excellent) 1911 Suite at Valley Parade. Imagine being at your work and hearing something like “here is your fish, and by the way you are garbage at your job”. Imagine being the manager trying to build a successful team in that environment. Imagine believing that doing that was a way to bring success. The mind should boggle. These are two examples, many more come through grapevine. Many who encountered Lawn had a story of curious behaviour but vested interests and the desire to stay on the right side of the club are powerful motivators. With the need to stay in his good graces no longer important you might start to hear a second side to the story of Mark Lawn’s seven years at Bradford City and his role in the progress under Phil Parkinson. You can choose to believe – Dear Reader – that Lawn went from failed scout (and, perhaps, demotivational chef) to architect of football success in the space of a few months if you wish but I would suggest that if you do then you convict yourself of naivety. What should not be accepted though is the suggestion that Julian Rhodes and Mark Lawn saved Bradford City. Lawn’s claim to this has always been a mystery to me. Lawn invested in the club and a good deal of the investment – a loan and some funds – was spent on a promotion campaign with an increased playing budget. There was no promotion but the club did not go out of business as a result. Had Bradford City not spent that money then the club would have achieved at least the same outcome but – considering later it would get to the League Cup Final with a smaller budget – there was no reason to suggest it would be endangered without it. Just that City wanted to spend more money to get promoted. The only danger of a bust was, not for the first time in City’s history, the result of trying to get a boom. If Mark Lawn never offered his money to City then City would have just had to make do with (in one season in L2) a £1m smaller wage budget and still not have been League Two’s lowest spenders. Mark Lawn as the saviour of City is a myth. Julian Rhodes’ credentials to the honourific are a little better. Rhodes and his family have invested into the club as well as taking out of it but given an appreciation of the comprehensive view of his time one might be tempted to suggest that Julian Rhodes saved the club from himself, or at least from situations in which he was involved. It would be wrong to minimise the efforts Rhodes (or Lawn’s for that matter) has put in to Bradford City but equally wrong to overstate them. If he is to be credited as saving the club then he must also be attributed as being there when the club was put in danger. Which is the crux of the matter. When Bradford City was put in danger in 2004 following a schism between Julian Rhodes and Gordon Gibb it was not Rhodes who saved the club. It was you. The supporters of Bradford City, and the community of Bradford and football at large, found around £300,000 in the space of a few weeks which was used to fund the club over the summer where football clubs have no income. This ensured that when Rhodes wanted to return, and for that matter later when Lawn wanted to invest, there was a Bradford City at all. Without that £300,000 – £300,000 raised by you and people like you and added to by Rhodes (see below) – Bradford City would have not been saved. Neither joint-chairmen at the time (Gibb and Rhodes) would fund a summer without income. When August and paying customers came round again Julian Rhodes was able to launch a CVA that gave him ownership and control of the club without Gibb and – according to the Kroll administrators at the time – with no debt. That there was a Bradford City to sell for £6m in 2016 is because of the money you gave in 2004. Money you did not give as a loan at nine per cent, or in exchange for shares, or with any expectation of being paid back. Julian Rhodes as the saviour of City is a myth. It was not Julian Rhodes who saved Bradford City, nor was it Mark Lawn. If you want to give that credit away then again, your choice, but be very wary of anyone who wants to give it away for you or to take it from you. As the club changes hands to new owners then it is worth remembering that the reason there is a Bradford City is not because of Rhodes and Lawn, or Richmond, or Gibb, or Rahic and Rupp. It is because over the years supporters decided it would not let the club die despite the decisions in the boardroom by people who come and go. Lawn and Rhodes are not the custodians of the club, nor are they saviours of the club. You are. People can name stands after Rhodes if they like or build statues of Lawn if they have that much metal but never let anyone say that those people saved the club. Not the boardroom, the fans. They messed up, you fixed it. You always do. You have the power, not them. Owners, directors, chairmen and all will come and go at Bradford City but you will remain. You saved the bloody club. You are the bloody club. Mr Rupp and Mr Rahic need to know that as they arrive at Valley Parade tomorrow. More about Edin Rahic, ER Sportsgroup, Julian Rhodes, Mark Lawn, Peter Jackson, Phil Parkinson, Shane Duff, Stefan Rupp, Uwe Rösler. When talking this week about the need for Bradford City’s players to put in a Bradford City performance manager Phil Parkinson engaged in a little modesty, and a little evasion. Four years ago on Tuesday saw the Bradford City manager who proceeded Parkinson go into a broad room meeting trying to justify a lifeless performance against Dagenham & Redbridge and failing. He resigned and within a week Parkinson came to the club after the cameo of a Colin Cooper 4-2 against Barnet. Many wanted Cooper to have the job and Parkinson, less obviously attacking in his approach than Cooper, was criticised as he went about a process that made City more predictable and by virtue of that less interesting. Jackson’s last side was as lifeless as one could imagine but it was not criticised for that having come after Peter Taylor’s weak outfits and Stuart McCall’s sides who famously could take an offside decision going against them in a win and sulk it up into a six game losing run. This has been the way Bradford City have been perhaps since Paul Jewell left the club in the Summer of 2000. For those ten years we were a club often at the whim of external forces be they financial or on the field. To a greater or lesser extent until Parkinson arrived City were a club who seemed unable to control its own fortunes. Unless one wants to journey back decades then it would be more accurate to say that it is not a “Bradford City performance” that Bradford City failed to show in the 2-1 defeat to Gillingham it was a Phil Parkinson performance. Having watched Phil Parkinson’s teams over the last four years it strikes one that first and foremost the City boss demands the level of effort which was lacking from his players on Tuesday night. For much of Parkinson’s time at the club he has been able to select a team from a squad who all were able to reach that level required. That that situation was coming to an end has been obvious for some time. If one believes that the Gillingham performance would not have happened had Jon Stead been in the forward line, or had Andy Halliday been in the team, then one convicts oneself of the most idealised thinking. On Tuesday night – and over the week – it became obvious that he did not have eleven who put in what Parkinson requires and so new faces were called in: Reece Burke on loan from West Ham United, Lee Evans from Wolves. In the past four years Parkinson’s loan signings – as opposed to his loan to purchase deals – have largely been to decorate the fringes of his team. Burke and Evans came straight into the side recalling Parkinson’s first month at the club when the likes of Matt Duke, Jamie Devitt, and Andrew Davies were signed and put into the side. Loan signings disrupt the flow of a team, but when the team is not flowing what is to lose? In the event Lee Evans turned in a fine performance in central midfield as the Bantams had more control of the central area than they had in any game previously this season. It should not be said that Christopher Routis is the sum of the problems at Bradford City but with him injured, and Tony McMahon ill, the middle two of Evans and Gary Liddle looked to have the kind of solidity which has been lacking of late. Evans will be at the club for five months at least. He is young and has some ability. His signing on loan suggest is is an after thought but one finds it hard to believe that Parkinson can have thought that he could go into the season with such poor resources in central midfield and perhaps Evans’ two weeks sitting out games at Wolves focused his mind on how to progress his career at another club. Only here for a month Reece Burke – 19 years old and having only played five games previously – slotted into the defence alongside Rory McArdle and never looked out of place. Burke put in a calm, assured performance as one might expect from a player on his debut but he seems to be a short term solution to the problem of replacing Andrew Davies. Alan Sheehan – who has performed the role better than anyone else this term – was on the bench and is thought to be about to leave the club. Millwall defender Mark Beevers has had talks over a move but those talks came to nothing. Nathan Clarke is on the bench until such a time as Parkinson redeems him. While there were chances for Bradford City to win at Oakwell against Barnsley Parkinson’s City were not seeking a redemption so much as reconstruction. Burke slotted into a back four which was supported by a central midfield who did not stray too far up field and most of the afternoon the full backs were supported by the corresponding wingers Paul Anderson and Mark Marshall. Parkinson has made it clear that we are at a stage in the season were we can judge all the players (except for Brad Jones, once again absent having missed training all summer) but judgements on those two wide players – and a third Josh Morris – are not kind. Anderson has – thus far – failed to live up to the hefty reputation he arrived with. His performance against Gillingham was risible and while he was defensively better at Oakwell he showed only very occasional abilities to go beyond the forward line and link onto what could be won by James Hanson. There is much to do for Anderson. Josh Morris – who replaced Anderson after just over an hour – has shown more in terms of the ability but is frustratingly easy to knock off the ball for a player with pretensions to take a central midfield role as well as a wide one. For defenders playing against Morris is about playing on the line of fouling and hoping that the Referee has no sympathy for the player who concludes every challenge looking back at the official and appealing. More curious is Mark Marshall who has very good delivery of a ball when he happens upon the right position to deliver it from but getting Marshall into those positions seems to be a random process. Defensively he issues vague and wrong instructions to the full back behind him but such things are worked on in training and that could improve with time. Going forward Marshall needs to position himself to take on defenders and go forward rather than to dribble past central midfielders and move sideways. A man who can beat a player is useful when attacking but dribbling through central midfield is dangerous at worse, and fairly pointless at best. One understands Marshall’s frustrations even without agreeing with his way of venting them. City’s trip to Barnsley was about keeping a clean sheet and in keeping a clean sheer starting building belief in the squad that it is master of its own destiny. The balance was in favour of defending and none of the wide players was given much of a remit to attack. Parkinson wanted to see if Anderson, Marshall, and Morris were prepared to dig in, that the team were prepared to do as told, and to be responsive for achieving an outcome, and the answer was a qualified yes. In this context Steve Davies and James Hanson toiled up front with the latter often isolated and the former missing a great chance when one on one with Adam Davies in the Barnsley goal. One doubts Parkinson will lose much sleep over that. He goes into training for the first time this season – and I would say the first time since Reading – with a team that can be said to have had control over the outcome of the game rather than been buffeted on the winds of occasion. That was the first thing Phil Parkinson achieved when he arrived at City four years ago. He hopes to have won it back on Saturday. More about Adam Davies, Barnet, Barnsley, Christopher Routis, Colin Cooper, Dagenham & Redbridge, Gary Liddle, Gillingham, James Hanson, Lee Evans, Mark Marshall, Paul Anderson, Peter Jackson, Peter Taylor, Reece Burke, Rory McArdle, Stephen Darby, Steve Davies, Stuart McCall, Tony McMahon. It is commonly held, and held for good reason, that the current and previous incarnation of The Labour Party (Miliband and Blair) are substantially to the right of the 1970s (Wilson) party and that the current Conservative policies are also massively to the right of where they could have been in the same decade. 1971’s Industry Relations Act from Ted Heath would put him left of current Labour thinking. The Overton window is defined – broadly speaking – by the left and right of what the public will accept and so the two parties stand glaring across it. The window was dragged significantly to the right under Thatcher and so Heath would be out of step with modern Tories just as Blair would be out of step in the 1970s Labour movement. The left and right are relative to a centre which is defined by the greater populous. Which seems to have very little to do with a Friday night in Doncaster and Bradford City wandering into the dressing room at half time scoreless against a Rovers side who – like Chesterfield on Tuesday night – looked very similar to the Bantams in approach and effort. First half blows had been exchanged – weakly perhaps – and once again City seemed to be playing a game on a knife edge. Gary MacKenzie’s slip on Tuesday night had decided the Chesterfield game in the visitors favour and something similar would decide this game, or so it seemed. Which was the frame of reference that a grumble about the predictability of City’s approach of hitting the ball to James Hanson came about. The speaker thought City needed to “get rid” of the man 442 had called the 45th best player outside the Premier League and one could waste ink on the denotation of this rather than its connotation: that City needed something to tip the knife edge in their favour. Hanson was policed all evening by a Doncaster Rovers backline who know the striker’s threat and did what they could to respond to it. After forty five minutes they would have been pleased with their attentions – not so after ninety – but the instinct of City fans that the Bantams needed to add something less predictable alongside the thrust of James Hanson was telling. At this stage of the season four years ago there was (needless, in my opinion) talk of City falling out of the League because of Peter Taylor’s management and Peter Jackson’s arrival was seen as something of a saving grace. Taylor’s team were never in danger of relegation and so any credit to Jackson for “saving” a club that was not in trouble is – in my opinion – misplaced but he is given that credit in wider public opinion. Manchester City almost finished in the UEFA Cup places in 2005. At the time it was high drama in the Premier League. David James – goalkeeper – went up field to try seal this amazing achievement for the Blue side of Manchester but it was not to be. In the end Manchester City reflected on a good season but finished 8th. A similar finish for Manchester City now would be cause for alarm. The ownership of the club – through Khaldoon Al Mubarak – has changed what the populous believe Manchester City should be achieving significantly. When winning the Premier League last season the reaction was muted – or so it seemed – because of failures in the Champions League. The Overton window in football for Manchester City has shifted as a result of the massive investment in the club. The same can be said for Chelsea who played league games at Valley Parade in the 1980s but now measure their success by European Trophies and Premier Leagues. It can be said to have shifted down for Newcastle United who go into a derby game with Sunderland hoping for local bragging rights and a secure Premier League finish as a return for a club that twenty years ago believed they would win the League. Mike Ashley’s ownership of the club has – in the minds of fans and the rest of football – made sure that ambitions should be limited and so they are limited to a window of achievement which is shifted downwards since the Keegan era. It can be said for Blackpool who – when the North of England used to holiday there in the 1950s – were a team capable of winning trophies but as overseas holidays took business the Overton window for football slide down and down to a point where the team who had the Greatest Footballer ever (some say, Matthews himself thought Tom Finney was better) are now amazed to have had a year in the top division. What words were said at half time by Phil Parkinson at Doncaster Rovers we will not know but the outcome was incredible. In the second half the Bantams were yards ahead of the side that has matched them stride for stride in the opening forty five minutes. Gary McKenzie’s opener came from a scramble on the far post following a corner, and a cross in, but it was the result of pressure following half time that did not relent. Hanson, tireless, chased down defenders all evening and in the centre of midfield Billy Knott and Gary Liddle stopped the home side having time on the ball. Indeed Knott – coming up against one time favourite of this Parish Dean Furman – can be pleased with his best performance in a two man midfield for City so far. His tendency to go missing went missing and Knott manifested his progress over the season in the display. Liddle battled through and Filipe Morais’ control of possession in the home side’s half showed what had been missing in recent weeks. Hanson ran defenders down and made room for Billy Clarke to add a second. Tony McMahon got a third – his first for the club – filling in at left wing for Mark Yeates who felt his shoulder pop out ungraciously in front of the visiting supporters. McMahon seems ready to play anywhere for City just to be at City and that attitude is probably worth noting. McMahon’s goal – picking up on a slip by Reece Wabara – completed a fine enough evening that Phil Parkinson walked the length of the away supporters to give thanks to those who had come down from Bradford. The scenes seemed as unlikely an hour previous as they would have done four years ago. Which is Parkinson’s success at Bradford City and one which is not dependent on promotion being achieved this year although this result increases the chances of that. The shift in the Overton window in football upwards for Bradford City has it that City should be thinking in terms of a Championship side and thinking about how to win games against teams like Doncaster Rovers who have just exited that level. How can we win the game on the knife edge to chase a place in the Championship? It was not a question we asked four years ago. And while Manchester City and Chelsea are foremost in clubs who have shifted their windows up through investment – and clubs like AFC Bournemouth, Hull City and others have had smaller investments and smaller shifts – most of the time when the Overton window for football shifts it is because of money coming in or (Blackpool, Newcastle United, Leeds United, Portsmouth) going out in City’s case it has been achieved on the field, with the same scale of resources, and no sudden injections of funds. In fact City have paid back investment in the last four years. Which is truly remarkable. With the same resources (less, arguably) which were considered only good enough for playing “good football” at the bottom of League Two Phil Parkinson is measured against Bradford City’s ability to be promoted to The Championship. More about AFC Bournemouth, Billy Clarke, Billy Knott, Blackpool, Chelsea, David James, Doncaster Rovers, Ed Miliband, Edward Heath, Filipe Morais, Gary Liddle, Hull City, James Hanson, Joseph P. Overton, Leeds United, Manchester City, MIke Ashley, Newcastle United, Peter Jackson, Peter Taylor, Phil Parkinson, Portsmouth, Reece Wabara, Thatcher, The Labour Party, The Overton Window, The Overton Window For Football, Tony Blair, Tony McMahon. Lewis Hunt has left Valley Parade with the contract extension activated at the end of last season being paid off while Dominic Rowe has signed a new two year deal after impressing all during his loan deal at Barrow. Eighteen year old Rowe sign a two year professional contract at Valley Parade and celebrated it by watching City’s Development Squad beating Conference side Barrow 5-2 today, Rowe playing for neither side. Rowe has played six games at the Cumbrian club scoring once. Rowe is the fourth player at the club before the summer who has joined the Development Squad following Darren Stephenson, Adam Baker and Adam Robinson. It was Robinson who Peter Jackson overlooked when giving Hunt his contract extension at the end of last season which has cost City a sum of money to terminate. Hunt was right to take the stand that he was entitled to the contract he signed being honoured but Jackson’s use of the player rather than Robinson has proved expensive. Jackson is credited by Mark Lawn as saving City from relegation getting fifteen points in fourteen games (That is 1.07 a game, stats fans) compared to Taylor’s 37 points from 32 games during the season (that is 1.16) and to his fourteen points in his last fourteen games (1.0, of course) which is the only statistic that seems to emerge that supports the idea that Jackson did turn the season around. The turning around – which was true over the twenty eight games, but not over the full season – won Jackson the job having used all the resources at his disposal including activating Hunt’s contract. You will judge for yourself – dear reader – if Hunt represents 0.07 a game improvement. Nevertheless Hunt did well in what proved to be his final games of the season letting no one down. City – signing up a young player two for a fraction of what has spent to get Hunt’s contribution – are left to consider the use of resources at the end of last season and plan to not be in the situation again. More about Adam Robinson, Barrow, Dominic Rowe, Lewis Hunt, Peter Jackson. Two months on from his shock resignation as Bradford City manager, Peter Jackson has yet to utter one word in public regarding his reasons for departing, other than apparently telling a group of Huddersfield supporters that “two people at City are going to kill the club” for the way they are running it. When the day comes he sees it fit to explain himself, it’s hoped whoever is holding the microphone in front of him asks what his thought process was towards his left backs. Back in those care-free days of pre-season, a flattering 4-1 win for Premier League Bolton over the Bantams was followed by Jackson revealing he’d told full backs Robbie Threlfall and Lewis Hunt, “they can go if they find a club”. For Hunt – only still at the club because a desperation for a right back forced City to offer him a new contract – being told he could leave was understandable and he’s only featured once this campaign. Yet as Threlfall made his 18th start of the season in the home win over Northampton – enjoying arguably his finest game to date in a City shirt – a question popped into my head concerning why three months ago he was told he had no future at all. I’ll admit I’m a big Luke O’Brien fan. When it comes to selecting who plays left back between Threlfall and O’Brien, I would always – and still would do – favour Luke because of the greater attacking threat he provides. When Jackson rarely picked Threlfall in pre-season and then made his revelation post-Bolton, I was pleased that O’Brien has apparently won his battle to be first choice. What happened next – and where Jackson’s honest opinion would be welcomed – was baffling. The final pre-season friendly against Carlisle saw Threlfall brought in from the cold and then starting the season’s opener against Aldershot with O’Brien not even on the bench. An unfortunate own goal wasn’t the greatest of starts, but Threlfall’s superb assist for Michael Flynn’s goal at Leeds will live as long in the memory as the Welshman’s terrific strike. Yet still, we waited for O’Brien to reclaim his place in view of Jackson’s earlier declaration; and as City made a slow start and Threlfall looked fairly average in those early games, bewilderment grew. When O’Brien was brought on as sub in the Johnstones Paint Trophy win over Sheffield Wednesday – a week after Jackson’s exit – there was a chant of “hallelujah” in support of the Halifax-born player. But neither caretaker Colin Cooper nor new manager Phil Parkinson took Threlfall out of the team. Which would have been harsh – because with each passing week, Threlfall has quietly gone about his business looking more effective than the last game. Having originally being signed by Peter Taylor in February 2010 and much made of his set pieces during his initial loan spell, he’s again making his mark in this area too. Most notably setting up City’s opening goal at Huddersfield in the superb JPT victory. O’Brien played that night too, and to date all of his appearances have been as a winger rather than his natural full back role. With his greater dribbling ability and willingness to take people on, O’Brien could make a good career out of this position. Particularly because – unlike your bog-standard League Two winger – he has a much greater awareness of his defensive responsibilities and will regularly help out his full back. In the last two home games Parkinson has started with two out and out wingers and then brought on O’Brien when needing to protect a lead. On each occasion he made a decent impact. So having apparently won the full back war only to lose the battle quite badly, O’Brien’s City future now appears to hinge on his willingness and adaptability to become a winger. Competition is strong in this area of the team too, but with Michael Bryan and Jack Compton only here on loan for now O’Brien’s aim must be to prove to Parkinson these temporary players are not needed long-term. New rivals, but the same kind of challenge he has been used to at left back. Meanwhile Threlfall has surely become one of the first names on the team sheet. He was outstanding against Northampton, time and time again successfully tackling his winger and providing good cover for Luke Oliver and Marcel Siep, while showing great positioning. Meanwhile in the less-celebrated side of his game – going forwards – he put in a strong display, linking up well with Kyel Reid. He doesn’t take people on like O’Brien, but his greater passing ability means he is starting attacking moves and then joining in further down the line by charging down the flank. With Chris Mitchell struggling to get back into the starting eleven, Threlfall has taken on the greater responsibility regarding set pieces. All credit to Threlfall for his attitude. There are more celebrated and eye catching members of the team, but his determination to re-discover his form – after a disappointing 2010/11 campaign – and battle for his future at the club is a shining example of what City are trying to achieve this season. Improvement in individuals, improvement as a team. Threlfall was supposed to be consigned to the scrap heap, but too often City have given up on players and released them rather than develop them. Told to get lost by Jackson, he has come back stronger than ever. Threlfall’s first team spot is his to lose – and on current form I can’t see that happening anytime soon. More about Jack Compton, Luke O'Brien, Michael Bryan, Peter Jackson, Peter Taylor, Phil Parkinson, Robbie Threlfall.